Once fabricated, our group measures the optical properties of the plasmonic nanostructures with various spectroscopic techniques in order to confirm our design and build towards more useful and efficient structures. Optical characterization techniques include Dark-field spectroscopy, Raman spectroscopy, and Photoluminescence experiments. Figure 1 - Optical spectroscopic setup. Nanoscale features cause radically different interactions with both matter and energy than would be seen on a macro-level. Of particular interest is the effect that light has on these nanostructures. When light is incident on a conductor, it causes the electrons to oscillate. These oscillations are called plasmons. On the macroscale, the oscillations decay rapidly in the metal and are of little consequence. However, when light is incident on nanostructures the electromagnetic waves can couple to plasmons and the plasmonic wave's resonance and strengthen. Nanostructures act as optical antennae since their sizes are on the same order of magnitude as the wavelength of visible light. A plasmon is a particle of charge oscillation, similar to photons, which are particles of light waves (electromagnetic oscillations), and phonons, which are particles of sound waves (pressure oscillations). When light is incident on a metal structure, it creates an oscillating charge distribution or plasmon. This oscillating charge distribution in turn creates oscillating electric fields, which results in electromagnetic waves. These waves can be focused below the diffraction limit of light, resulting in advanced Ramen spectroscopy as well as improves photovoltaics. Our research involves the optical characterization of these plasmonic structures. 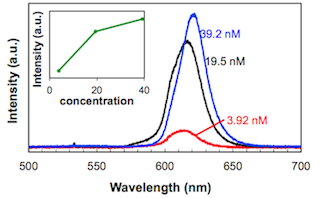 Figure 2 - Photoluminescence spectra of colloidial quantum dots. From .